In the wake of the extremely popular “Music from Cars Land” album, another new CD comes out November 6 that has already become a favorite among Disney cast members. “The Circle Sessions: The Music of Carthay Circle” offers, for the first time, sparkling jazz versions of great Disney songs, selected from the soundtrack of the Carthay Circle Restaurant and Lounge at Disney California Adventure park! Not only does the CD feature some of the most beloved Disney songs with an upbeat, sophisticated twist, but this timeless collection also creates an ambiance that allows the listener to feel like they are in another time and place. Both Bills, as well as every musician you’ll hear, are among the most sought-after music names in Hollywood, heard on countless movie and TV soundtracks, as well as best-selling recordings. You can catch a glimpse of them making this music in Valarie Sukovaty’s “Cue the Dining Music at Carthay Circle Restaurant” post. For information on purchasing select Disney merchandise items, call Walt Disney Parks and Resorts Merchandise Guest Services at 1-877-560-6477 or send an email to merchandiseguestservices@disney.go.com. Awesome. The music is great inside the Carthay Circle Restaurant is great! I stumbled onto “Dave Loves Disney” years ago and it’s a FANTASTIC album. Very inspired, but also very relaxing. I’m excited to listen to The Circle Sessions. I already sent an e-mail to Merchandise Guest Services! Thanks for letting us know about this – and the Music to Cars Land, too! I’d love to check that out as well! Oh my gosh! I’m so excited I can’t wait to buy it! Will there be a cd with the songs from Five and Dime and the Red Car News Boys ever? I would love to have those as well! That’s a great idea, Katie! All I can say is that the more our Merchandise Cast Members see Theme Park-related CD’s fly off the shelves, the more we can hope for additional releases. I agree with Katie! I love the new Buena Vista Street entertainment, as well as Minnie’s Fly Girls. 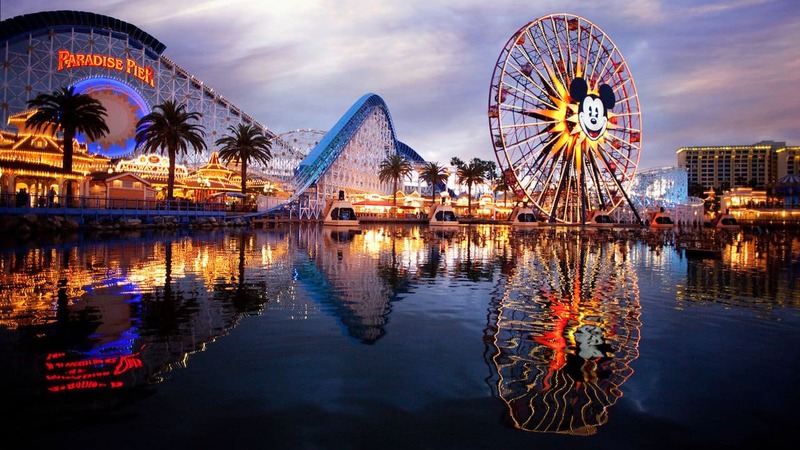 I would love a CD with all the wonderful new Disney California Adventure music please! Will there also be a Disney’s World of Color soundtrack as well finally? With all of the music numbers and different scenes from 2010 since it debuted through 2012 featuring the all new Disney and Pixar movie Brave scene? I would rather have an official Disney’s World of Color soundtrack! That was recorded at the Abby Road studio in London, England. They’ve had 2 Fantasmic! soundtracks. The Disneyland one also featuring the Main Street Electrical Parade. Another Fantasmic! album with both Disneyland’s and Hollywood Studio’s. Brandon, Steven & Katie — There’s a good chance that some of that music may appear on a future Official Album, but a dedicated album for all these things, especially World of Color, would be glorious. Again, if the decision makers see how much we love the new CDs, it pushes the needle. Pretty sure I heard music from Ratatouille in the YouTube video but it doesn’t seemed to show up in the track listing. You are correct, Christian! 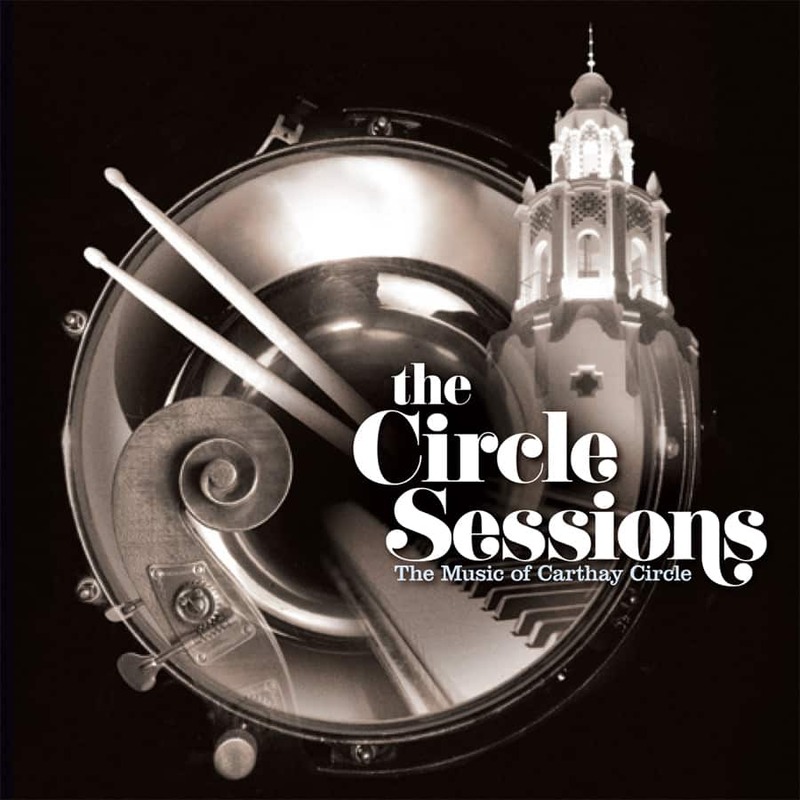 “The Circle Sessions” is a selection of the music, but not the complete works. Let’s see how this album does, and who knows? Maybe there will be more! You have made me so happy! I asked one time at the Carthay Circle Restaurant if there was a CD that was going to come out, but nobody knew. I love sitting in the lounge and just listening to the music. Any chance for future volumes? There’s so much on that soundtrack that I love, including “King of New York” from Newsies and “I See The Light” from Tangled! PS – I’m going to chime in with the other commenters about wanting to see a CD of the other Buena Vista Street entertainment and Minnie’s Fly Girl, too! Making people happy at Disney is what I do. It’s what I live for, Loren! Even though the new album does not have every title that you can hear in the location, I think you’ll enjoy what is there — and let’s all keep our fingers crossed that more might be in the making, especially if the response is as good as this! Are those all the tracks included on the album? Why is ‘Le Festin’ not included? Any chance this will be available on iTunes? It would be the perfect addition to our Disney World road trip playlist next month! I am definitely picking up Circle Sessions on our next park visit in December! I love that Disneyland is releasing more park music on CD. Can we please please PLEASE get an album of the Dapper Dans?!?! I am sure that the people at Walt Disney Records and Disney Parks Merchandise would be delighted to make more music accessible in more ways — after all, one usually creates and markets something wonderful so people can find it, buy it and love it. Perhaps the accessibility issues will be addressed, along with the many excellent requests, after “The Circle Sessions” hits Disney California Adventure Park shelves tomorrow, Nov. 6. If it’s a hit, that makes a Volume 2 and even more cool Park CDs a stronger possibility. I sure hope so! Thanks for the responses, Greg. Looking forward to picking up the CD and a possible Part 2 with Le Festin and more. The music I have always wanted is the music they play at Epcot at the Dancing FOuntain, one of my favorite parts of Disneyworld! I also loved the old ending music in Spaceship Earth, the Norway background music during the movie there…so much beautiful music that totally enhances the experience! I was at school subbing and walking into the office one day to hear a cd playing and it just made me happy, I didn’t know why…I later realized it was a piece of music that plays in Epcot, just as background music, as you walk in…it was on the artist’s cd, not even an official Disney cd, and it made my day!